Our central station, United Central Control, who monitors our security and fire systems is located in San Antonio, and has been monitoring securiy and fire systems for over 30 years. Their experienced, professional operators are the best in the business. They are a Five Diamond rated company by the The Monitoring Association, which means that their commitment to operator training is second to none. They are first class in every detail and have ample built in redundancy. But no stone is left unturned: even if the main facility were to go down, they have a back up central station at the ready. At UCC they understand that customer satisfaction is #1! They have the right tools in place to support your security. Thousands of homes and businesses across the United States depend on UCC. 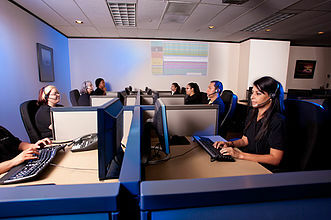 Headquartered in San Antonio, Texas, UCC employs a professionally trained staff. One hundred percent of UCC’s central station operators are certified by the CSAA Central Station Operator Level I online course, earning us the CSAA “Five Diamond Central Station” Rating for alarm monitoring companies. UCC is a UL Listed Central Station. They are compliant with all UL 827 standards for central stations, including the type of building the central station is housed in, restricted access to the building, redundant systems, back up power, etc. UCC’s number one goal is our Customers’ satisfaction. They are totally committed to providing the highest level of service to all of our Customers. UCC will conduct business according to the highest ethical standards and they will always conduct themselves professionally and honestly. Their highly regarded staff will provide a standard of service to ensure quality at every level.